My friend Margie brings these to our tennis matches for a quick pick me up, or an after match refresher. They are simple to make and simply delicious to eat! An added bonus, my kids LOVE them. 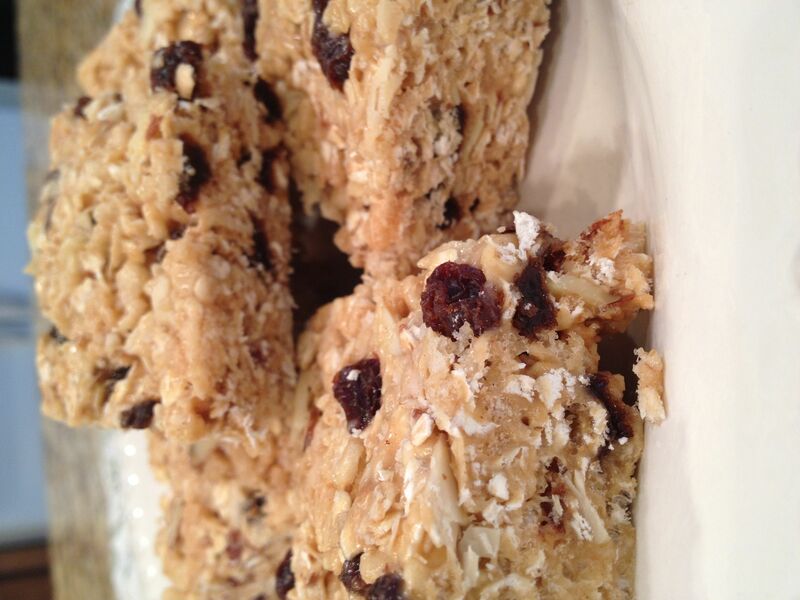 On a jelly roll pan, in a 250 degree oven, warm the cereal, oats and raisins for 10 minutes. Meanwhile in a large pot over low heat, melt the butter, peanut butter and marshmallows. Heat through and stir until well combined. Add the warm dry ingredients to the marshmallow mixture, and stir to thoroughly coat. Pour into a buttered 9×13 pan and press down to condense mixture. Cut into squares and serve.